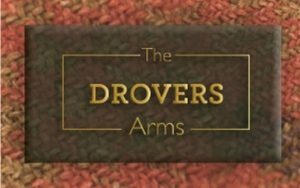 The Drovers Arms is a 2 minute drive – or, better still, a 15 minute walk through the woods from Skipwith Station. Dating back to the 19th century, the pub is an impressive brick-built inn in the heart of the village. Spacious and attractive, the inn’s decor is traditional without sacrificing comfort, pristine and welcoming. 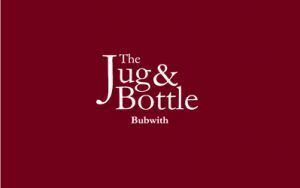 They have an Excellent Chef, a great choice of menu and special offers plus a varied selection of real ales, a good wine list and a choice of lagers, spirits and soft drinks. Being Dog friendly is a real bonus and definitely worth booking a table at busy times. You can book a table online from their Website. 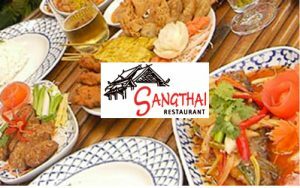 Warm and friendly Thai staff provide a typical Thai welcome to this beautiful country cottage restaurant. The extensive grounds feature an oriental garden complete with bamboo furniture and a Thai-style pavilion for outdoor eating. This is a new venture by Anna Airaksinen in the nearby village of Foggathorpe. This could be an ideal adjunct to your holiday – enjoy time out in a unique building (the old Blacksmith’s Forge) with excellent food and fun learning some interesting Nordic crafts with Anna. This is a great duo in the beautiful market town of Howden. Howden is a small town with a lot going for it. 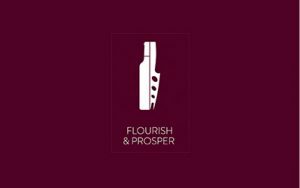 Apart from the beautiful Minster, Flourish and Prosper is a superb delicatessen – and the owner also owns a restaurant: The Bridge Bar & Bistro in Bridgegate. Ideally situated between York and Selby. York hosts many historic places of interest plus good shopping and the Abbey in Selby is worth a visit. There are many other activities within easy reach of this splendid traditional inn, such as golf, fishing and water sports, not least of all are the famous spa in Harrogate and the North Yorkshire Moors. 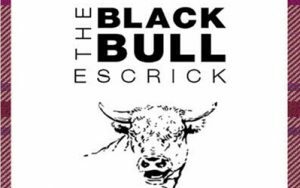 The Black Bull Inn boasts an extremely successful and well known restaurant serving food prepared to order on the premises and many of our guests simply come for a relaxing stay in a country environment where they can enjoy the unique comfort and sumptuous living a privately run English country inn can provide. Is a local delicatessen and off-licence which has been recognised as Yorkshire and Humberside’s “best shop” in the Observer’s fourth annual food awards. The shop is a delight and the staff are friendly and helpful. There is ample off-street parking available, making it very convenient. Ask for Louise. Take a break from the stresses and strains of modern day living with a trip to a health spa in York. Many health spas offer day, weekend or even weeklong breaks where you can relish the ultimate pampering experience. A health spa is nothing short of an oasis of tranquillity, luxury and relaxation and there are many spas to choose from in York. To help you find the right location and a great deal, check out city-visitor’s guide to Health Farm, Health Spas, Pamper Day in York and give yourself a well-earned rest. The course is built in harmony with it’s natural woodland setting near to the Derwent Ings. The wide green fairways blend and bend with the gentle countryside. The greens are all built to USGA specifications with substantial mounding. The course is 6742 yards long with a par of 72 and SSS of 72. There are seven lakes coming into play, superb practice facilities, including driving bays, a ball dispenser, putting green, practice bunkers and short game practice areas. Half-way refreshments are available at a log cabin where you can sit and feed the almost tame rainbow trout, who will perform in anticipation of a treat. You may also be fortunate enough to be paid a visit by the beautiful swans who return every season to teach their signets how to fly. An old fashioned red telephone box waits to greet you on the 18th tee where you can order your hard earned refreshments from the clubhouse. 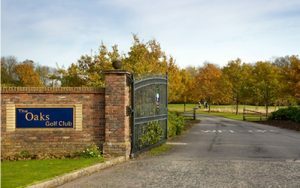 The clubhouse is open from 8am in the summer months and has a full bar and dining facilities, from golf snacks through to dining in the Lakeside Restaurant. The Oaks is famous for it’s comprehensive Visitor and Corporate Golf packages and are proud to host qualifying rounds for corporate tournaments. Prices begin from £35 per head. For details contact the office, but please book early to avoid disappointment! The Golf Shop is on site and stocks a large selection of golfing equipment, clothing and gifts to suit all budgets. We recommend All Occasions Florist in Howden. Click on the link to their website and have a beautiful bouquet delivered to your accommodation.